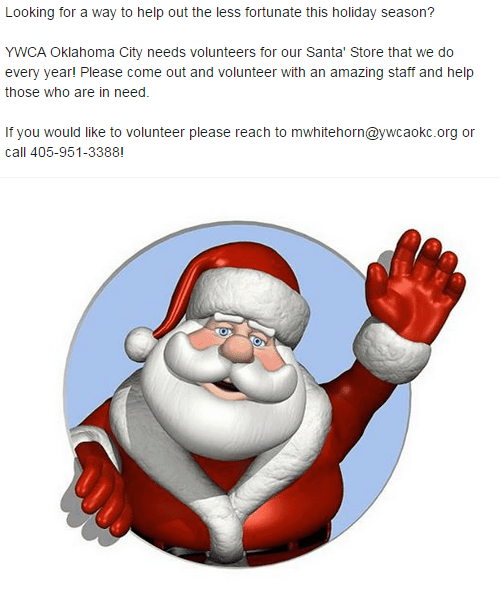 We have an opportunity to help the YWCA with a Christmas project. Next month they have a Santa Store. This store is an opportunity for the families they serve to come select Christmas gifts to give their families. If you can help volunteer at the store or are able to donate items that would make good gifts, please use the contact info below and let them know you’d like to help. Previous PostPrevious Looking for a unique gift? Next PostNext 2 Scarves Received!